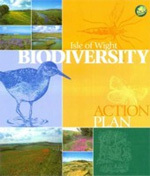 The Isle of Wight Biodiversity Partnership has produced many documents and plans. Use these links to explore the archives. We collaborated with the IW AONB Partnership to develop a joint response to the 'An Invitation to Shape the Nature of England' consultation paper which will feed in and contribute to the Government's forthcoming Environmental White Paper due to be published Spring 2011. 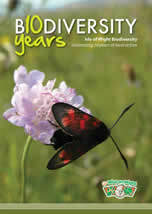 In the Wild is the Biodiversity Partnership's e-newsletter. Keep up-to-date with news and events and all the local projects and stories benefiting the Island's biodiversity. 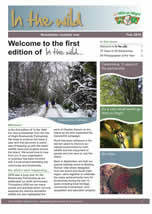 If you would like to subscribe email ecology@iow.gov.uk with your details. Isle of Wight Biodiversity: Celebrating 10 years of local action was produced in September 2009 to mark the 10th anniversary of the Isle of Wight Biodiversity Action Plan Partnership. It highlights the achievements of the Partnership during this time, projects benefiting our unique biodiversity, how species and habitats are faring and ways to get involved locally. The BAP is made up of a series of documents produced from 2000 to 2005. These are divided into Habitat Action Plans and Species Action Plans. The HAPs comprise the body of the plan at present, as most significant species are already dealt with in the relevant HAPs and/or covered by a national SAP. 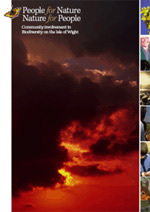 People for Nature, Nature for People, Isle of Wight Biodiversity Action plan Steering group 2005 (2Mb PDF download). This publication is an explanation of the six themes of Island biodiversity agreed by the Steering Group in 2005. it gives examples and ideas to show how biodiversity is relevant and important to the life of the community. 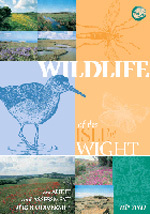 It includes suggestions and contacts for those who want to find out more and develop wildlife projects on the Isle of Wight. Wildlife of the Isle of Wight, Isle of Wight Biodiversity Action Plan Steering Group, 2000 ISBN 0-906-328-56-X (1.6Mb PDF download). This publication is an audit and assessment of the biodiversity of the Island in 2000. It was a report of the initial audit which marked the start of the formal biodiversity action planning process on the Isle of Wight. It contains an assessment of each BAP priority habitat, a map of the distribution of those habitats, and species tables showing BAP priority species. The species tables were revised in 2002 and the revised tables can be downloaded here (1.5Mb PDF). 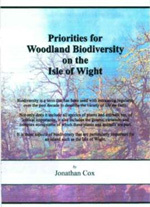 Priorities for Woodland Biodiversity on the Isle of Wight, Jonathan Cox, Isle of Wight Farm & Woodland Conservation Trust, 2003 (5.7Mb PDF). This booklet by Jonathan Cox was published in 2003 as a part of the discussions which let to the creation of the Woodland HAP. Because its contribution to the HAP was so significant, and because it remains a useful document, it has been included within the suite of HAPs as a supplementary document.